Greetings! I hope you got a good chunk of your shopping done this weekend! I think I've got about half my shopping done, but I need to get wrapping so that I can get them shipped off! 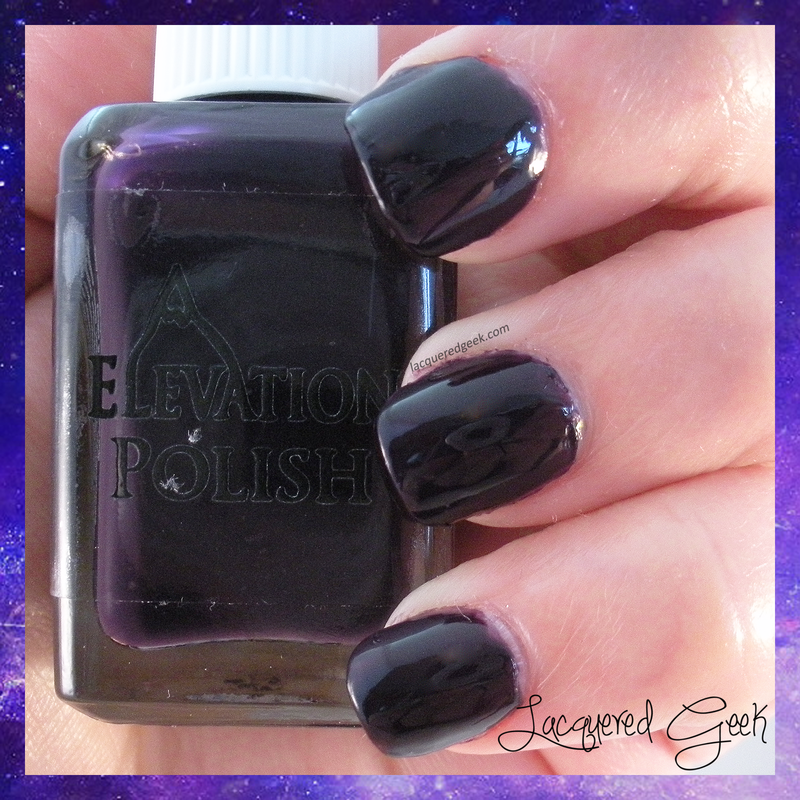 Today, I've got "Hovd Darkness" from Elevation Polish to share with you. Hovd Darkness is blackened eggplant jelly. It's super squishy looking! The formula on this one was absolutely perfect. It went on very smoothly, and covered in 3 thin, easy coats. It also dried shiny, but I still added a top coat just to even things out a bit. 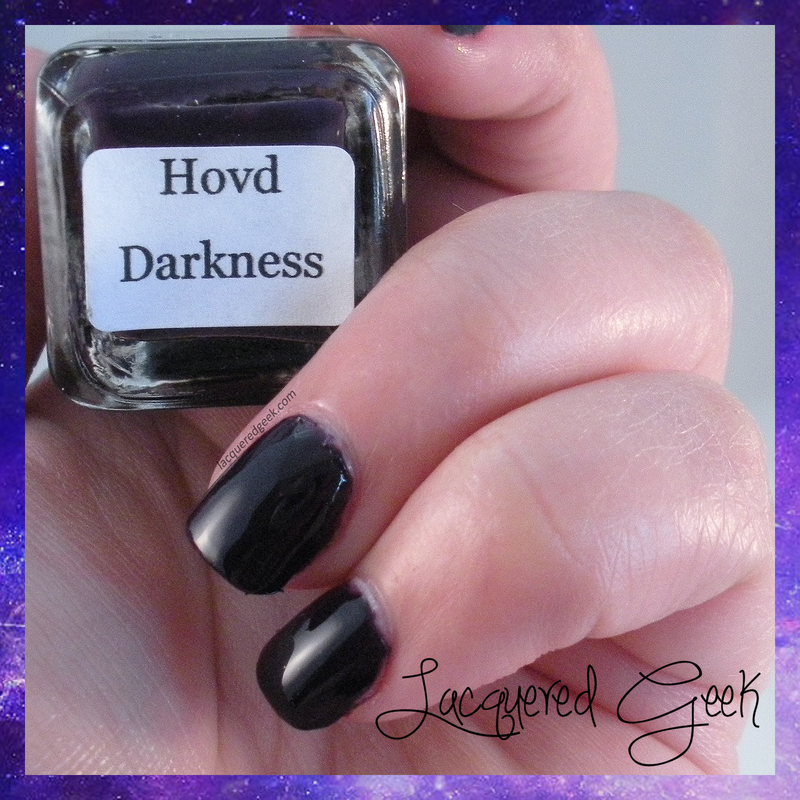 Hovd Darkness is a Llarowe-exclusive, so you can only find it on their website. It retails for $10.50. So did you do more shopping for yourself or others on Black Friday? I didn't go shopping on black friday! I'm seriously too afraid to leave my house that day hah! I love this polish though, eggplant is one of my all time favorite colors!